The Chicago band Fall Out Boy played to an enthusiastic crowd at WWDC 2017. 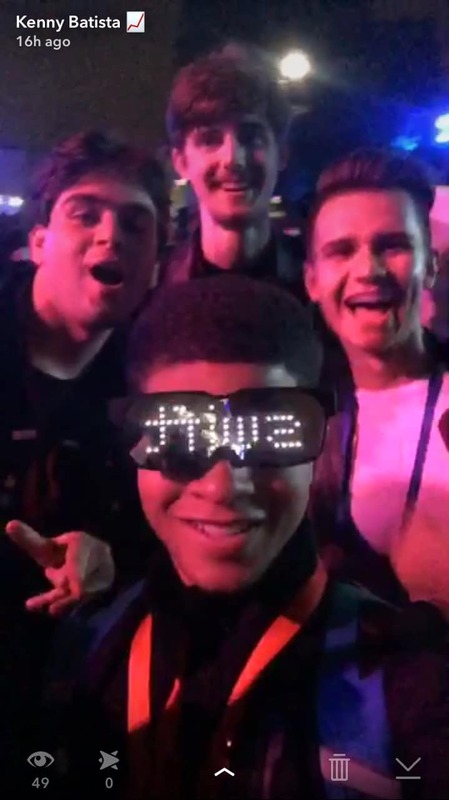 This week, student Kenny Batista is writing a diary from Apple’s Worldwide Developers Conference in San Jose, California. Kenny won a coveted WWDC Scholarship, which includes food, lodging and VIP access. 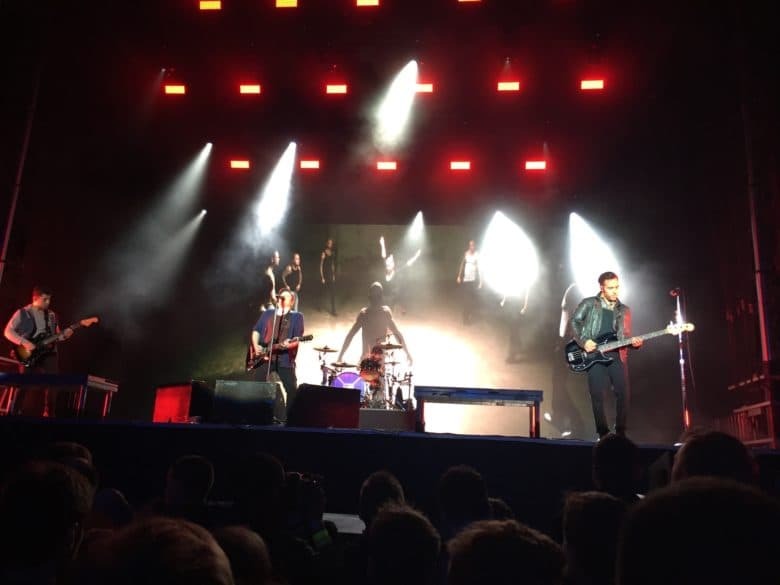 SAN JOSE, California — Apple threw us a bash party at WWDC where Fall Out Boy came to perform, and it was a blast! The crowd even got pretty rowdy during Fall Out Boy’s performance, as you can see in the video below. They started letting people in for the party at 7PM. They had incredible music and served us amazing foods, and drinks. There were attendees from all around the world together here at the dub dub party. The WWDC Bash is the big event of the week, topping off a lot of hard work. Attendees get to let their hair down and enjoy music from a live band. In the past, performers have included Michael Franti and Spearhead, OK Go and Neon Trees. The event used to be called the “Beer Bash” — referencing weekly beer bashes at Apple HQ that stretch back decades — but has been renamed simply “Bash.” Alcohol is still served to 21 and older. WWDC scholar Kenny Batista at the Bash. Check the Swift glasses. The scholars and I were all enjoying the quality music. We had created a circle dance. A few moments later, Craig Federighi, Apple’s Senior Vice President of Software Engineering, came in to introduce the performers … Fall Out Boy! He announced that the band had sold millions of copies and that they have had billions of song plays, and that they had just taken a break from their recording to exclusively perform some of their new songs for us! Fall Out Boy performed some of their most popular songs such as Centuries, Immortals, and I don’t care. Pete Wentz was flicking his guitar picks to the crowd and some lucky scholars caught them. Check out the video above. The crowd is big and enthusiastic. There’s even a mini mosh pit. Once again, an A+ for Apple on the party! Follow me on Twitter @kennybatista and turn on notifications to get notified when I release my next diary post on Cult of Mac!